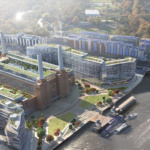 With design courtesy of British firm Wilkinson Eyre, images of Apple’s new London headquarters inside Battersea Power Station have been revealed. 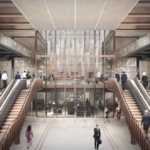 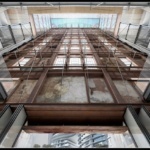 The decision by Apple to move into the vacant Giles Gilbert Scott–designed building was announced late last month but now Apple fans can get a glimpse of what the Californian tech giant will be moving into. 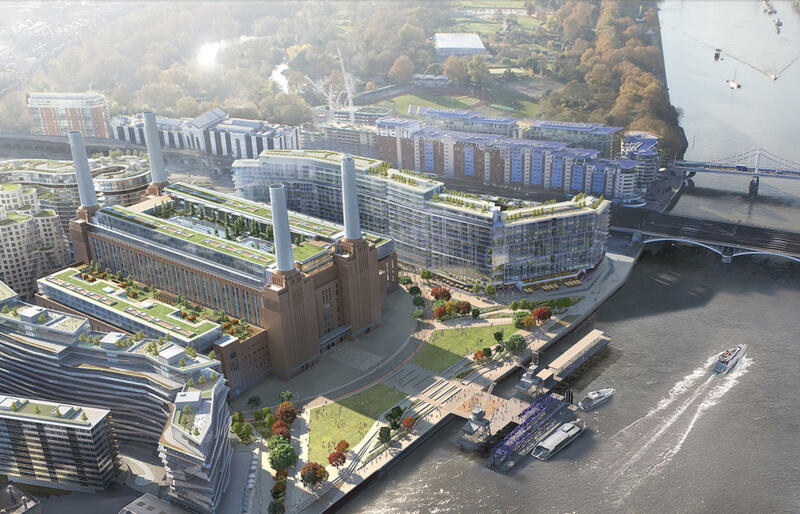 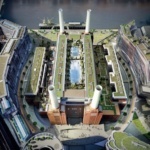 As part of the move, 1,400 current Apple employees will start work inside Battersea Power Station. 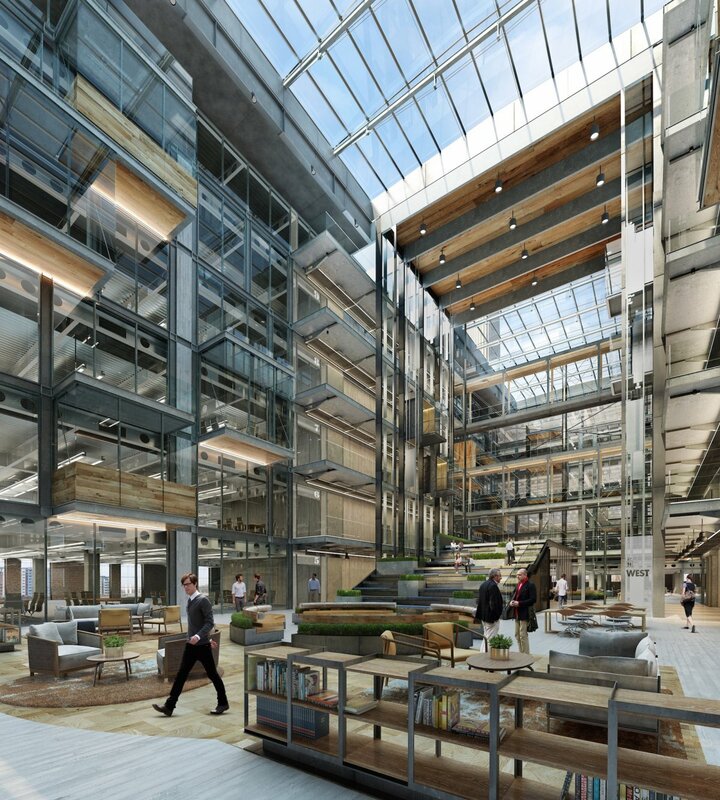 Occupying 40 percent of the interior space, Apple’s offices will span six floors within the power station’s central boiler house. 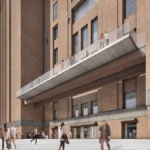 The original architect of the structure, Gilbert Scott, was renowned for his use of brick and application of art deco styling to his power stations. 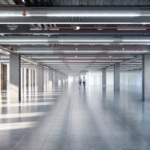 Following a similar approach to that of Herzog & de Meuron, the Swiss duo who renovated Bankside Power Station (also by Scott and located eastward down the river Thames) into the Tate Modern, Wilkinson Eyre has paid homage to the original structure and its turbine halls. 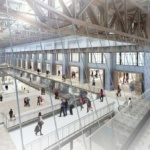 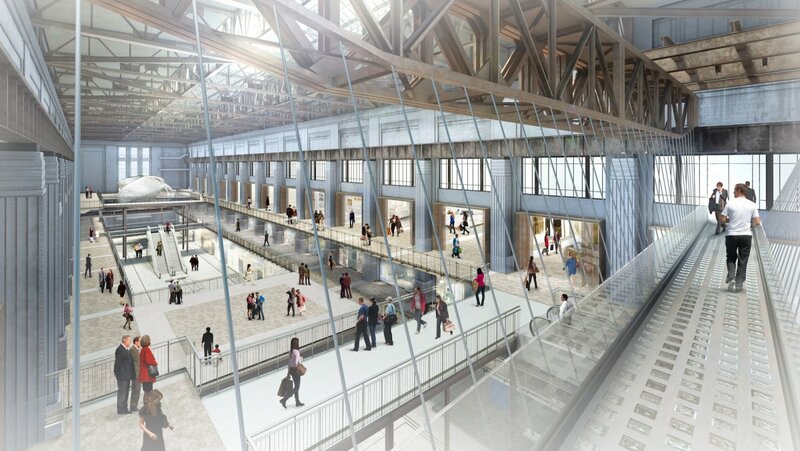 Three floors of shopping outlets will occupy the turbine halls and central boiler house. 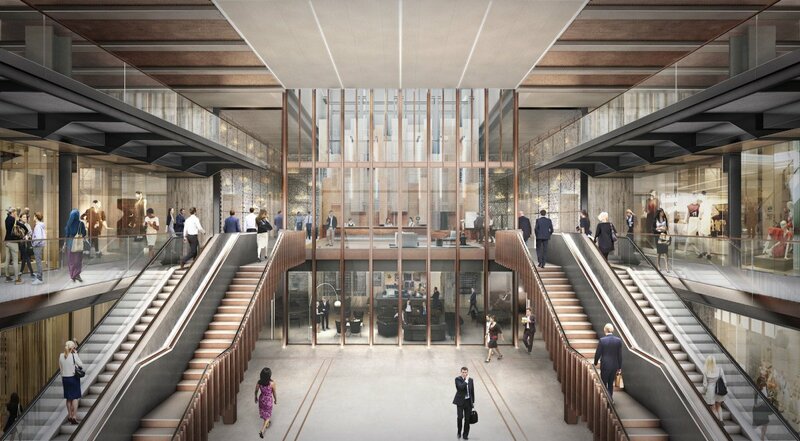 Condos will be located above the retail space being housed in two low-level annexes that lay on the east and west wings of the building. 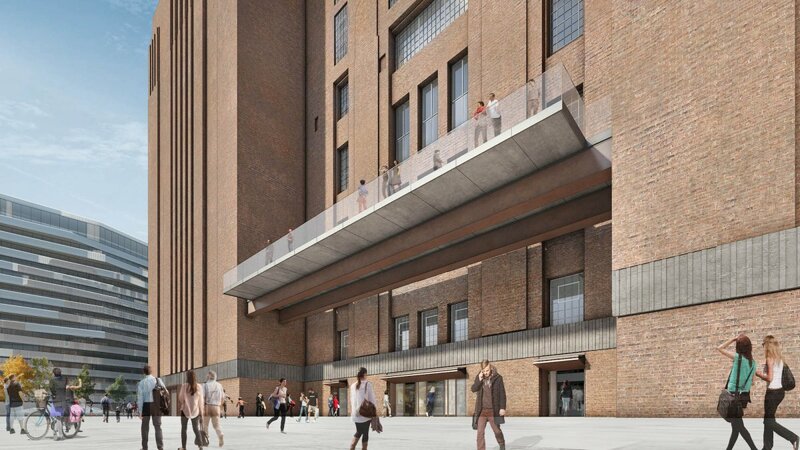 In between this, a triple-height “leisure level” will offer space for events as well as a cinema and hotel. 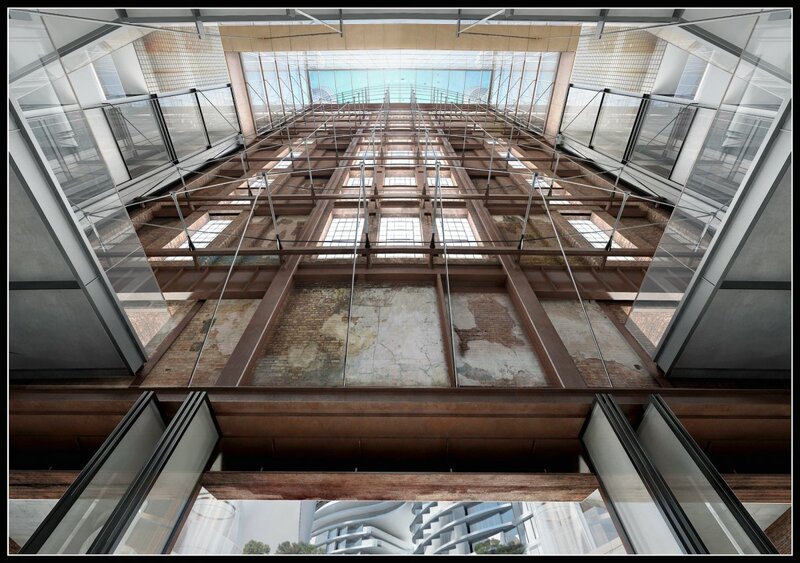 Offices, meanwhile, are due to be situated above this. 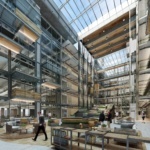 Six stories of office space have been arranged by Wilkinson Eyre around a grand atrium. 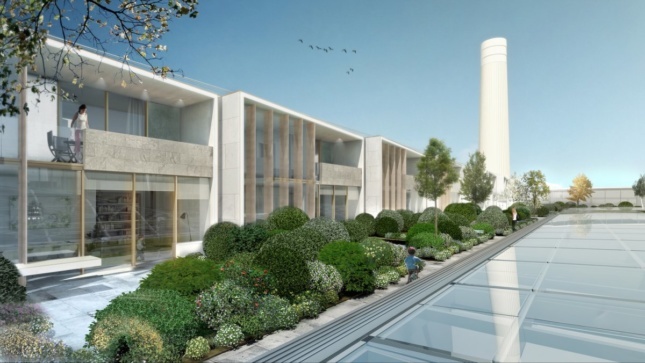 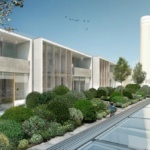 An icon of the London skyline, the power station’s four white chimneys will frame a coterie of contemporary residential villas which surround a garden square on the roof. 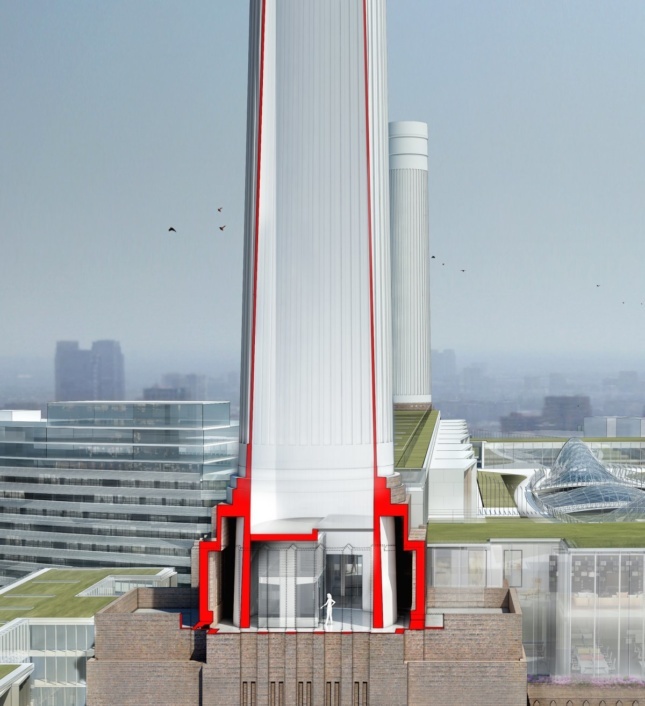 The chimneys will also include a glass elevator (it is unknown if all four will) which will climb to a viewing deck offering vistas across London. 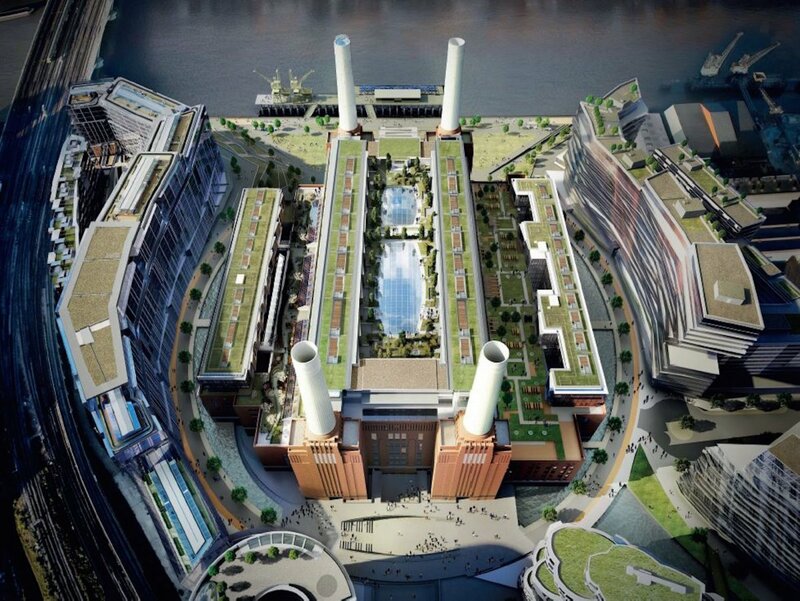 The project is set to cost $1.26 billion, due for completion in 2021.